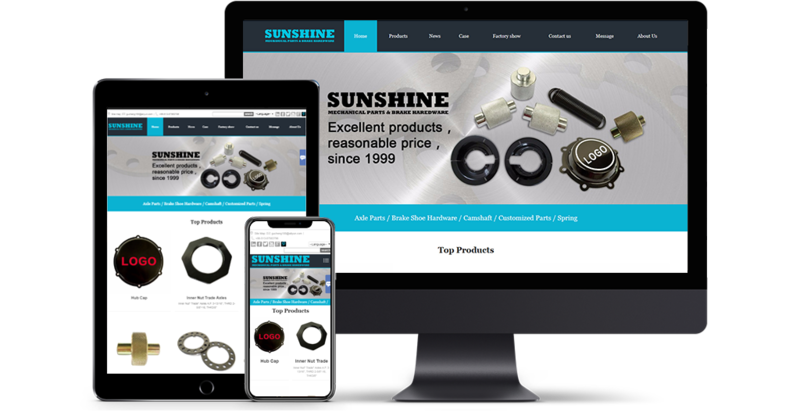 Sunshine Mechanical Parts & Brake hardware is a trading branch of Rugao Tongcheng Punching Mechinery Manufacturing Co.,ltd. Our factory itself has extensive experience in manufacturing mechanical parts especially brake hardwares for more than 17 years. Star products are: various model of axle dust shields, hub caps, brake rollers, brake anchor pins, bushings, washers, nuts and springs. 苏ICP备13044016号-1 Copyright© 2013 -2020 苏易网络 版权所有. All Right Reserved.